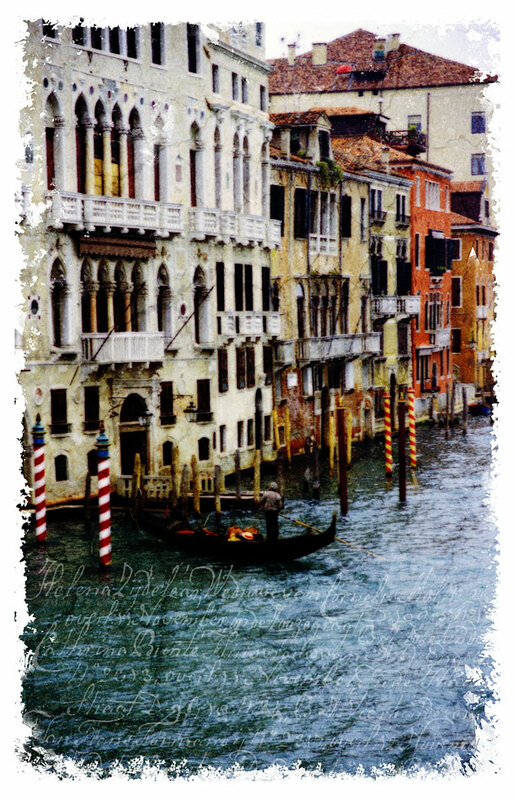 This final Forgotten Postcard from Venice, Italy shows the typical gondolas in the Grand Canal. One again I used Photoshop to alter the image to age and distress it. This entry was posted on Sunday, August 3rd, 2008 at 16:05 and is filed under Digital Art, Forgotten Postcards and tagged with architecture, art, boat, digital, forgotten, italy, photoshop, postcard, Travel, venice. You can follow any responses to this entry through the RSS 2.0 feed.